Recessions, or rumours of their return, concentrate minds. Late last week, the New York Times announced the departure of its CEO, Janet Robinson, in terms which made clear that this wasn’t her initiative and that it had something to do with the paper’s struggles to find a successful digital publishing strategy. I suspect that Ms Robinson’s removal is a symbol of a debate not confined to the boardroom of the New York Times or, come to that, to the United States. A long period of economic uncertainty on both sides of the Atlantic is starving newspapers of both readers and advertising income. In Britain print circulation declines are accelerating and given that two of the largest year-on-year falls are for the Guardian and Financial Times, I don’t think this can be attributed to the phone-hacking scandal. This pushes all newspapers and their publishers closer to one of the biggest decisions in their history, a momentous choice which is coming sooner than many expected. How much longer can they stay in print? When do they switch to digital? When two British editors were asked last year how much longer they expected to be printing their papers, both said that the companies had bought their last printing presses. Since both had invested in new presses in the past few years, that gave the Sunday Times and the Guardian maximum time horizons of between twenty and thirty years as paper products. I doubt that many titles now think they have that long. And this is a horrible dilemma. Look at this piece from the Atlantic Wire and you’ll see that the author thinks that the New York Times should appoint a master (or mistress) of the digital universe as chief executive to take the company into a digital future. If only it were that simple. The judgement required is how to navigate from one business model (advertising and circulation revenue from print) to a digital model which barely yet exists. Most British newspapers earn more than three-quarters of their income from print, several much more than that. Switching off or running down the print edition too early could be suicidal. Holding on it too long will mean crippling costs. The big decision is certainly about understanding digital, but it is also an old-fashioned business judgement of peculiar difficulty. Everything lies in the timing. The stakes in this game have been raised. I think that’s why Ms Robinson lost her backing in the boardroom and the Grey Lady’s directors decided they need a new navigator. 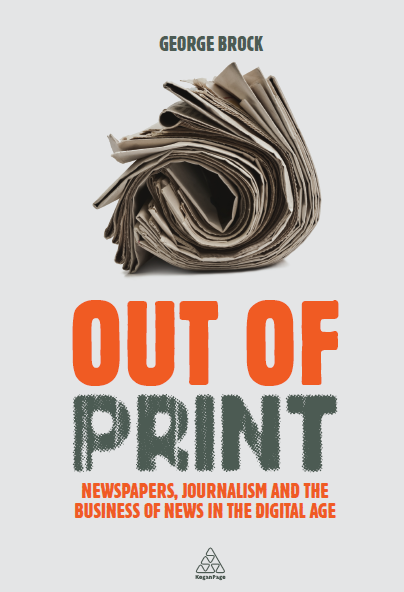 Update 19/12/11: more on the American date-of-print-death debate from Roy Greenslade. This entry was posted on Monday, December 19th, 2011 at 4:36 am	and is filed under Media Economics, UK Press, US Press. You can follow any comments to this entry through the RSS 2.0 feed. Both comments and pings are currently closed.